Orsola de Castro is a pioneer and internationally recognized opinion leader in sustainable fashion. In 2013, with Carry Somers, she founded Fashion Revolution, marking the April 24, 2013 Rana Plaza factory disaster in Dhaka, Bangladesh, which killed and injured thousands of workers. Raising public awareness of the continuing social and environmental catastrophes in global fashion supply chains, Fashion Revolution has become a worldwide campaign with participation in over 90 countries around the world. Prior to Fashion Revolution, in 1997 she founded From Somewhere, a label designing clothes made entirely from pre-consumer waste: disregarded materials such as surplus and production cut-offs. The label combined sustainable thinking with fashion-forward design, bringing quality and craftsmanship to ‘exquisite rubbish’. From Somewhere collaborations include Jigsaw, Tesco, Speedo, and four best selling capsule collections for Topshop from 2012 to 2014. 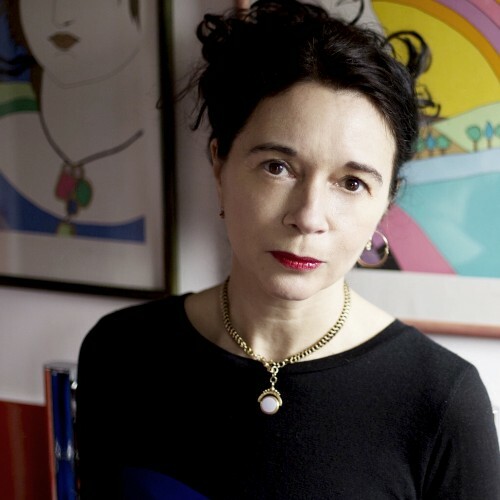 In 2006, Orsola co-founded the British Fashion Council pioneering initiative Estethica, which she curated until 2014. Estethica was London Fashion Week’s showcase for labels designing sustainably: ethics and aesthetics combined. It nurtured new generations of like-minded designers and supported more established brands who are mindful of their supply chain. A speaker and mentor, Orsola is an Associate Lecturer at Camberwell College, a Central Saint Martins Visiting Fellow, and Practitioner in Residence for the Fashion MA.